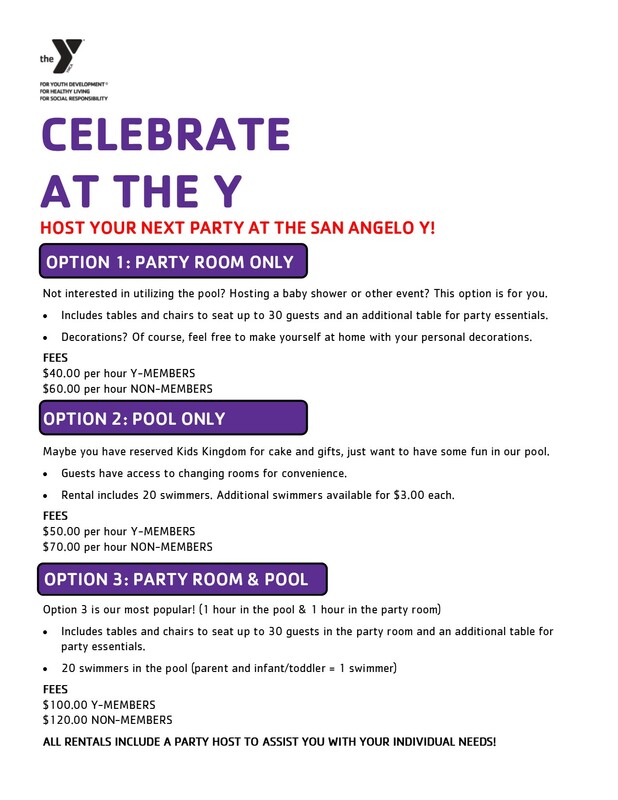 The Y is proud to have the ability to offer its facility to the community for the use of birthday parties, baby showers, meetings, school functions and more. 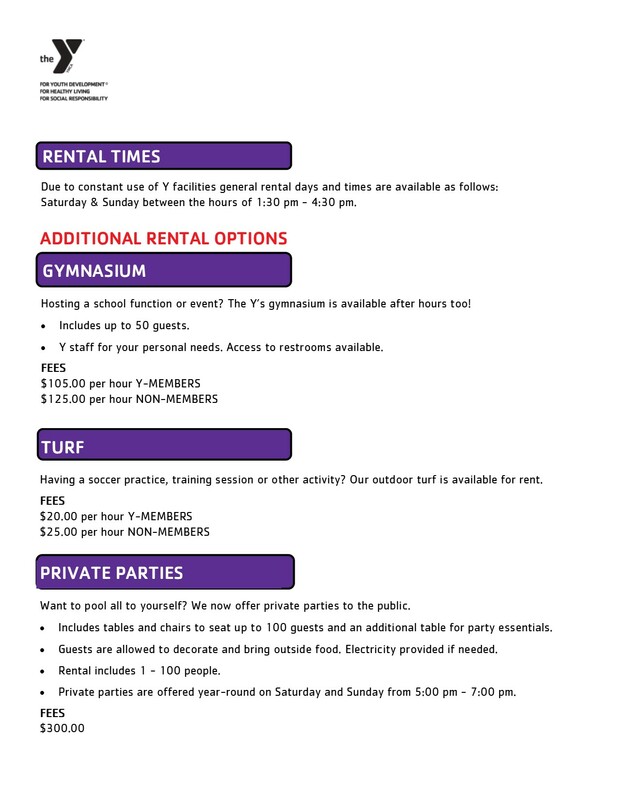 Our facility is available for rentals on Saturday and Sunday year round to Y-Members and Non-Members. To check availability please contact the Welcome Center. All reservations require submission of the rental agreement. Please read all policies and procedures in advance.